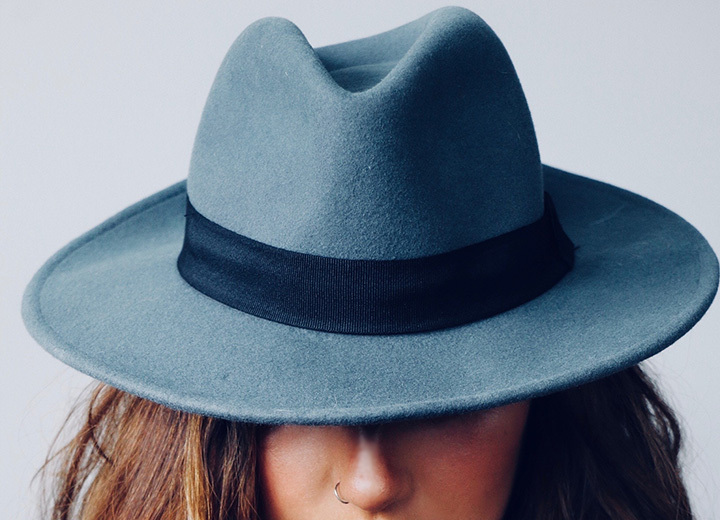 Love it or hate it, the fedora hat is here to stay. Back in the day when more formal dress codes and hat wearing were de rigueur, you'd be hard-pressed to find any man of style leaving home without one. Since then, the versatile headpiece has cemented itself as one of the most popular hat styles for both men and women. It's more formal than a baseball cap and flat cap, so it's easy to dress up, but adaptable enough to dress down. 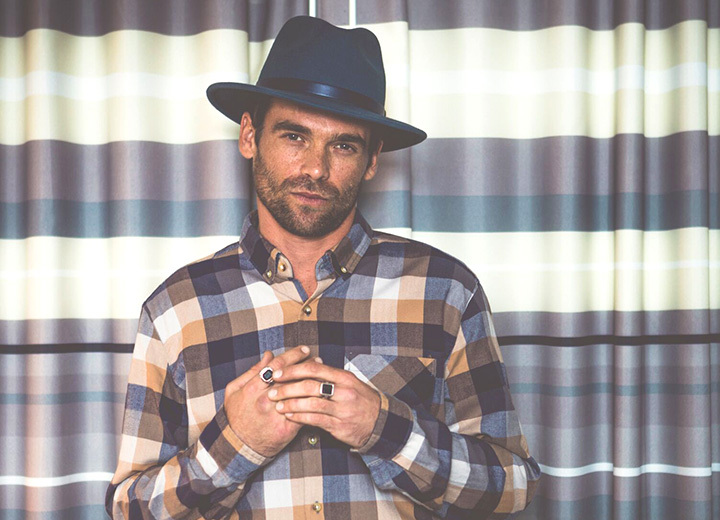 Read on for a little background on the ever-present fedora and let our style guide help you determine which type will work best for you. A fedora is a type of hat characterized by a pliable brim — usually two to three inches wide — and an indented crown with a center crease pinched on both sides. 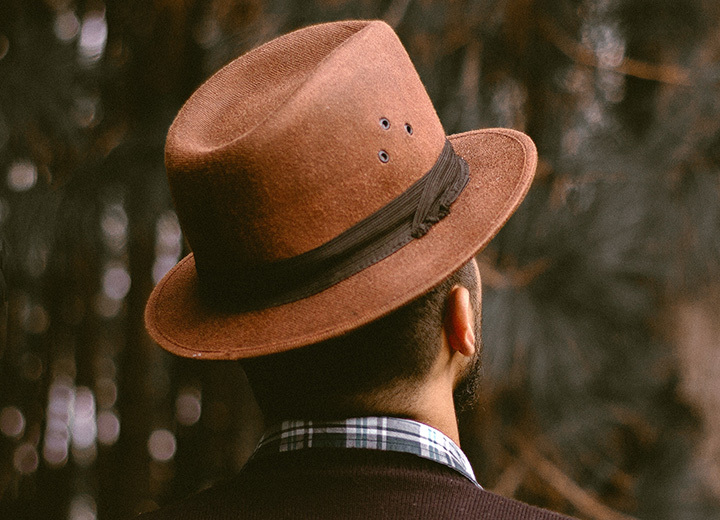 Although originally constructed from fur felt such as beaver felt, most fedoras today are made of wool felt. 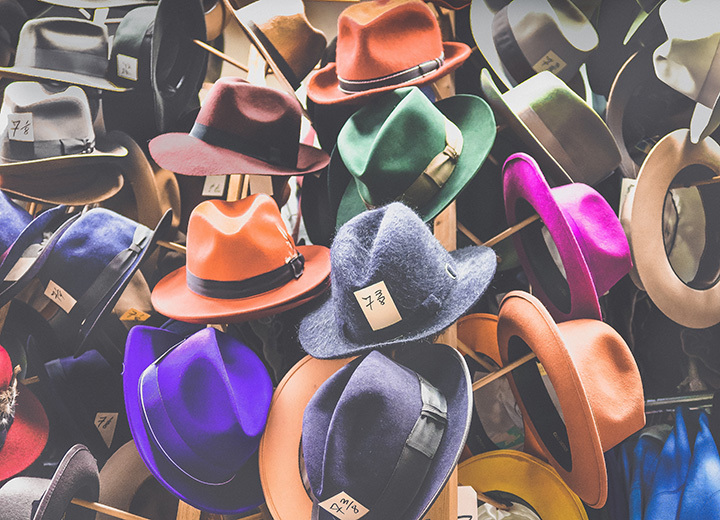 Increasingly, other materials are being used to make fedoras including straw, cotton twill, synthetic blends, and even leather. Because it lends itself to countless variations, the fedora shape is marked more by the basic features mentioned here rather than one specific style or fabric. No one is more synonymous with the fedora than Ol' Blue Eyes himself, Frank Sinatra. In fact, it's been referred to as the “Frank Sinatra hat" ever since he made it a focal point of his style during the 1950s and 1960s. Likewise, old-school Hollywood movie stars like Humphrey Bogart and Fred Astaire immortalized the fedora as an essential fashion accessory decades before Indiana Jones swooped in to give it a whole new rugged aesthetic in the 1980s. Fast forward to today and both male and female celebs are rocking the fedora look. 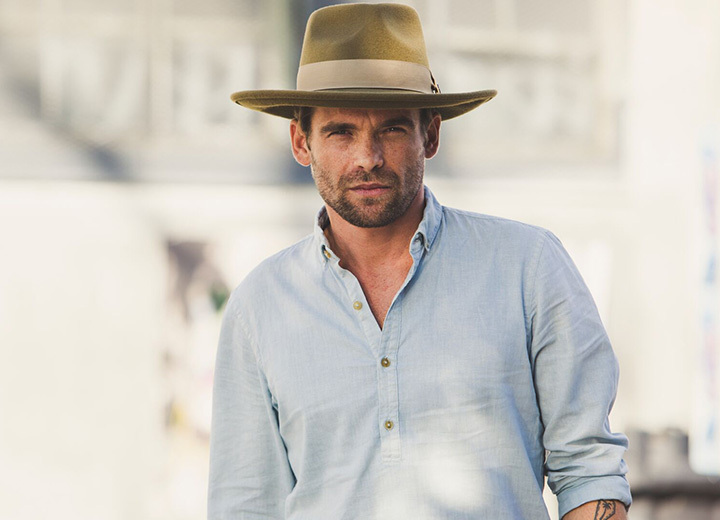 Justin Timberlake, Jessica Alba, Johnny Depp, Miranda Kerr, and Ne-Yo are just a handful of the famous faces who are proving that this hat is far from old-fashioned and has plenty of modern appeal. Whoever said size doesn't matter clearly wasn't talking about fedora brims. Learn the do’s and don'ts for finding the right style. Don't be afraid to play with proportion to figure out what suits you best. A wide-brim fedora is a classic look and it's a smart choice to help protect against the sun's harmful UV rays, which can cause skin cancer. 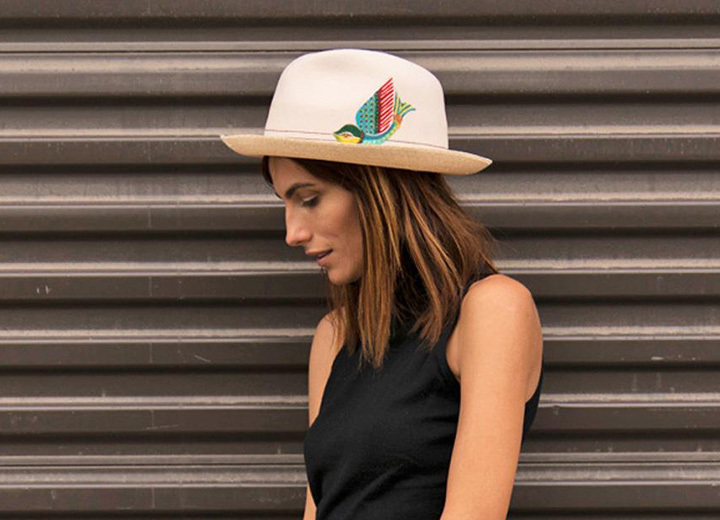 If you have an egg-shaped or thin face, a wide brim hat can balance out elongated features. Conversely, if you have a round, fuller face or a wide head, a big brim might not be ideal as it could add extra girth. Let our guide help you find the right hat for your face shape. Guys, try pairing Brooklyn's eye-catching wool fedora with a T-shirt or button-down shirt and a pair of khakis for a cool yet casual look (tattoos optional). If you have a large head size, it's best that you do not wear a fedora (or any hat) with a small brim as it will only make your head look bigger. Ladies, top a cashmere sweater and jeans with Santana's ivory-colored felt fedora for a serious dose of laid-back luxury. It's all about the fit. Choosing a fedora that fits comfortably on your head means it's neither too tight nor too big. A surefire way to test this is by placing one finger between your head and the hat — if there's enough space for your finger, then you know you have the right size. Remember that fedoras aren't just felt hats. They come in a variety of materials, so consider where you'll be wearing them and add a few to your collection for different seasons. 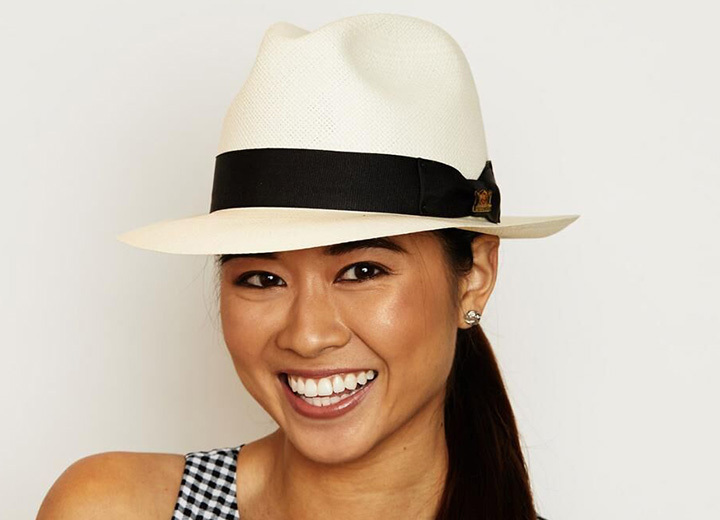 Panama straw fedoras are a no-brainer for summertime and beachside weddings while the quintessential black fedora ensures you're au courant no matter where you go year round. Start simple if you're new to the fedora frenzy. You can get a lot more wear out of a hat in a neutral hue such as beige, ivory, taupe, gray, or navy than one with bright patterns, pinstripes, or lots of embellishments. Know the lingo. Understanding the different terms and fabric choices can help you pick the best hat for you. Don't be cheap. While you definitely don't have to spend a fortune, the old adage that you get what you pay for holds true. A decent wool felt fedora will typically start in the $60 range, so do your homework and be prepared to drop a little cash. After all, you're worth the investment. Keep it clean. It goes without saying that a dirty fedora is never a good idea. Here's how to clean a wool hat with ease. Have fun. Wearing a hat is not rocket science, so enjoy yourself. Roam your local department store or hat store and try on as many hats as you can to get an idea of what works. Alright, friend. Now that you know how to wear a fedora, it's time to actually do it. Browse our extensive selection of mens fedoras and womens fedoras and get ready to find that perfect headpiece that will not only make you look good, but feel good.